Looking for an heirloom baby book? 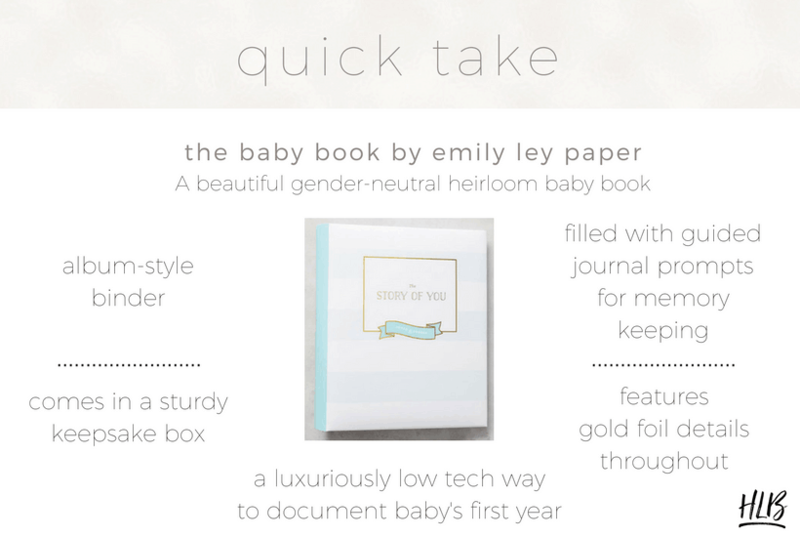 Check out The Baby Book by Emily Ley. 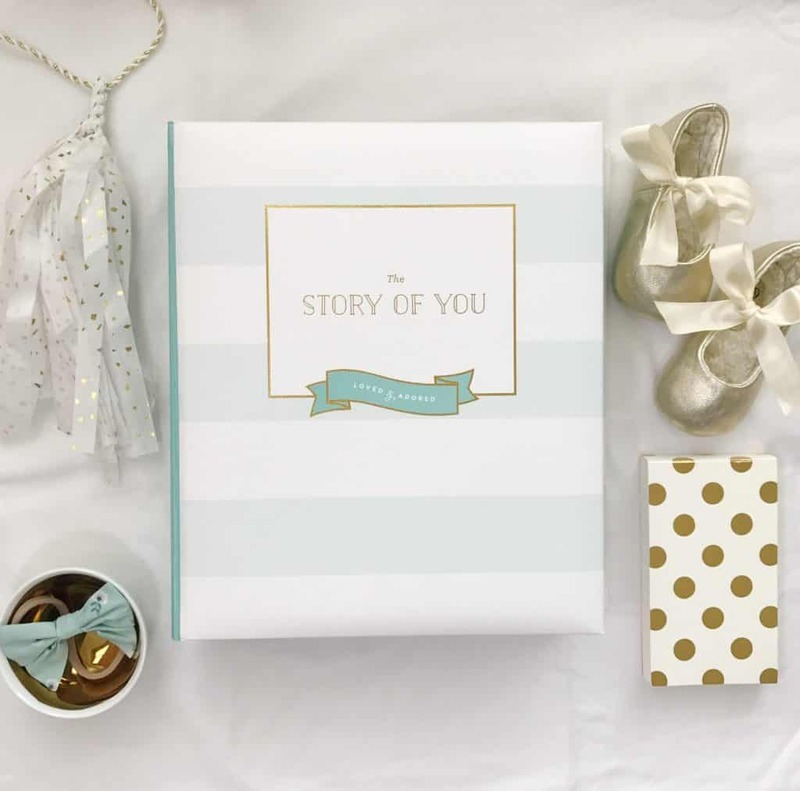 This beautiful heirloom baby book features guided prompts and cute themed pages. I have a long-time weakness for fine paper goods. Good stationery is my love language. When I was up at all hours breastfeeding in the first six weeks of my daughter’s life, I spent time searching for the ONE TRUE BABY BOOK. And this was it. Emily Ley’s baby book was honestly the prettiest heirloom baby book I could find. I promise I searched high and low and across price points. The EL Baby Book is essentially a binder filled with guided journal entries and spaces for printed photos. Many of the pages feature lovely gold foil details. the Baby book comes in a sturdy keepsake box. Basically this is a place to document lots of firsts and to jot down fleeting memories. I’ve only seen the baby book my mom kept for me a few times in my life, but each time I’ve seen it has felt important. Those pages and pictures contain strong emotions! I wanted my daughter to have a special heirloom baby book like that. The pages have sweet and playful themes that feel classic and appropriate for a baby. The colors are happy and bright. I think it will age well but still reflects the moment we are in. At $62, it was one of the most expensive baby books I found. But it really isn’t that much more than what many on-demand printers would charge for a hardbound photo book, where you’ll get a bound book of gorgeous photos, but you might sacrifice space for writing. Taking the time to fill out questions and to actually print photos (!) is truly a labor of love. Let’s just say it’s been months since my daughter’s first birthday, and I’m not finished yet. But I will finish! Are you keeping a baby book or journaling for your child? If so, do you prefer writing about major milestones or just jotting down your impressions from the day? I know for me it can seem like an extra task at the end of a long day when I’m trying to document regularly, but I do try! Did your mom keep an heirloom baby book? Mine is filled with sweet greeting cards from my parents’ inner circle. If you love fine paper goods, check out this post about handwritten cards.